When you're exercising hard for more than an hour or two and sweating like crazy, you'll start zapping your body's electrolyte stores. Our bodies need electrolytes to function properly, i.e. to transmit nerve impulses and contract muscles. We lose them quickly during intense, extended exercise through sweat. The best way to replace them is through our normal diets, which usually contain plenty of sodium, potassium, magnesium, and more. But if your mode of exercise doesn't allow you to eat what you need to replace what you've lost in time, electrolyte supplements might help. The bottom line: it depends on your individual chemistry, what type of exercise you're doing, and what works best for you. But here's a list of those I've tried and my impressions of each. I found the addition of any electrolyte supplement helpful, but definitely had my preferences (see "comments" sections). All criteria use one liter as a serving size. This requires more than one Nuun or Elixer tablet. Taste: Not great. All flavors were pretty bland. Mildly effervescent, even though the website states the drink is flat once it has dissolved. Make sure to vent closed Nalgene bottles! Ease of transport: Piece of cake. The tubes, once open, provide easy access even for gloved hands (think mountaineering). Comments: Nuun's creators intentionally left out the carbs and sugar, and I think the reasoning is perfect. They want you to be able to manage carbohydrates and sugar separately. The goal is to give you more control over how you refuel and to provide a drink that just gives you electrolytes. The ingredient list contains "natural flavors," which might mean artificial sweeteners are used. If they are, I couldn't tell; the recommended serving size gave me a drink that tasted slightly different from water. 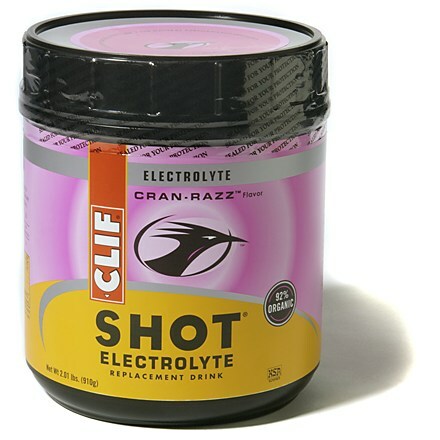 If you're the kind of athlete who needs something easy on the stomach and doesn't taste strongly, this might be your drink. They're also slightly effervescent, which is awesome, and are simple to break in half if you don't have a whole liter of water. 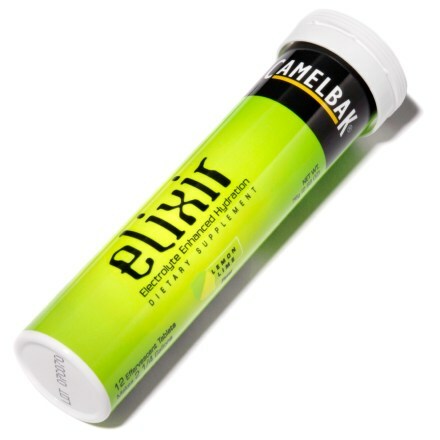 Taste: The only flavor I've tried is the lemon lime and it tasted slightly salty, which I really liked. Not much lemon or lime in there, but the fact that it had a strong taste at all was refreshing. If you don't enjoy effervescent drinks, stay away. Ease of transport: Piece of cake. The tubes, once open, provide easy access even for gloved hands. Comments: Although lower than Nuun on all counts of electrolyte content, the Elixer tabs fall within what the internet says are acceptable ranges of electrolytes. They also contain more than 1.5x our daily recommended dose of Vitamin C, and although I'm not convinced that matters much in how I feel, it did mean I could leave the Vitamin C supplements at home while I climbed Rainier. If you only have a 16 oz. water bottle or want the perfect serving size for your liter bottle, Camelbak made it easy for you to break them in half, which is awesome. Elixer does contain artificial sweeteners, which, in moderation, I'm fine with. Overall, I'd definitely buy these again! Taste: No doubt about it, it's salty, and pretty potent. If you don't like strong tasting drinks while you're exercising, this isn't for you. It's not at all effervescent, but you might want to let it sit a few minutes to let the crystals dissolve. Ease of transport: Bad. Powders are messy and difficult unless you take the time to pre-mix the drinks. You won't want to haul the whole container around, and if you're on an extended trip, this will be a serious issue. I've seen it sold in individual serving packets once, but haven't found them since. Comments: It's more like a typical sports drink, but over 90% organic. It has a higher sugar content, stronger taste, and might not appeal to everyone. I like the salty taste, and it's still sweet, which is likely a result of the high sugar content. It's a great drink for extended trips and days where you'll need as many calories as you can get. I found it particularly good at altitude; when everything else was tasteless, I could still taste this, which is definitely a plus! Just make sure to mix everything up before leaving base camp. I purchased all of these myself to try, and the opinions expressed here are my own, as always! 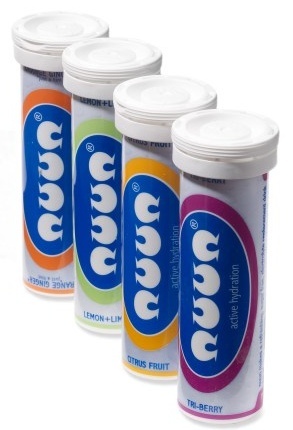 If you're into electrolytes, what are your favorite drink mixes? 1. The American College of Sports Medicine found needs were different for individuals depending on a variety of factors, including sweating rates. Visit http://www.acsm.org/AM/Template.cfm?Section=Search&CONTENTID=7650&SECTION=20071&TEMPLATE=/CM/ContentDisplay.cfm for details. 2. REI's website states one tablet works per liter, but the nutrition information provided by Camelbak states 1 tablet makes a 24oz serving. I opted to stick with their metrics. All posted nutrition information follows this as well. A little tip I've done when hiking/mountain climbing. Take a couple of sandwich sized ziplock bags and measure out servings of the powder. Then take the snack size ziplocks and put them in a sandwich size bag. When you want a refill on your drink, just dump the pre-measured powder into your waterbottle. Then you can return the empty sanck size ziplock bag into your sandwich sized bag (with your other pre-measured bags), so that you don't leave anything behind! Thanks, Courtney! This is a great suggestion, and makes a lot of sense. It also solves another problem I seem to have - not bringing enough empty ziplocs!